The Professional range of Single Sided Stepladders are lightweight and feature the patented Quicklock™ internal arm system which provides extra stability and resistance to ladder-walk. The RFSS fibreglass range offers the benefits of non-conductivity, strength, stability and durability. 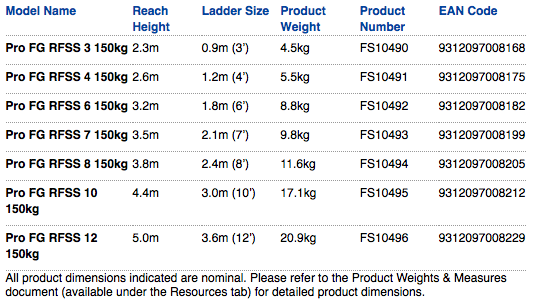 The fibreglass construction makes this range of ladders suitable for electrical applications. The Trade range of Single Sided Stepladders are lightweight and feature Bailey’s patented “Quicklock®” internal arm system which provides extra stability and resistance to ladder-walk.